CRYTUR grows neodymium doped yttrium aluminium garnet (Nd:YAG) crystals using the Czochralski growth method. A special protective atmosphere applied during crystal growth and post growth annealing result in a very good lasing efficiency of our crystals. Our production line covers crystal growth, machining and coating technologies. We also offer composite laser rods consisting of doped and undoped segments. These composite rods help to decrease thermal lensing and other thermal stress induced effects, particularly when used in axially diode pumped resonators. Our standard production of Nd:YAP laser rods includes Nd dopant concentrations from 0.25 % up to 1.1 at. % of Nd/Y. Nd:YAP laser rods with 0.7 at. % Nd/Y are typically used for CW and 0.9 at. % Nd/Y for pulsed lasers, both with the “b” orientation. 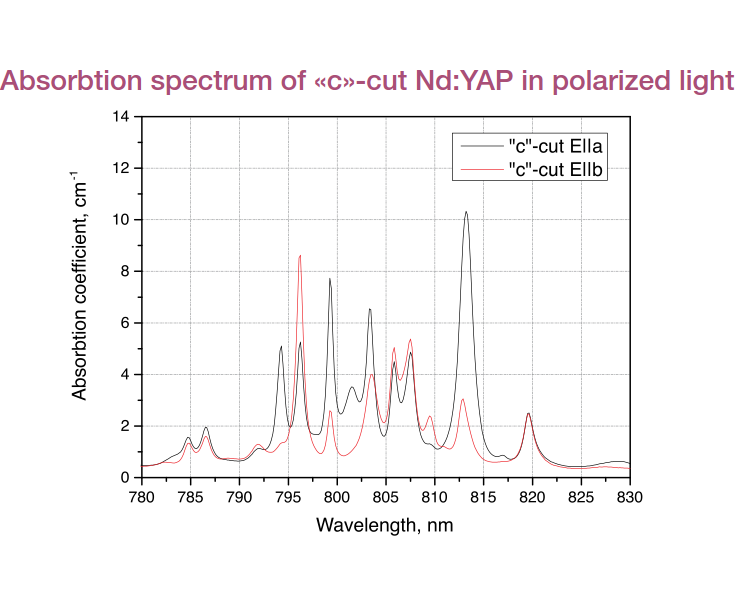 The threshold and slope efficiency of Nd:YAP at 1079 nm are comparable to those of Nd:YAG at 1064 nm. 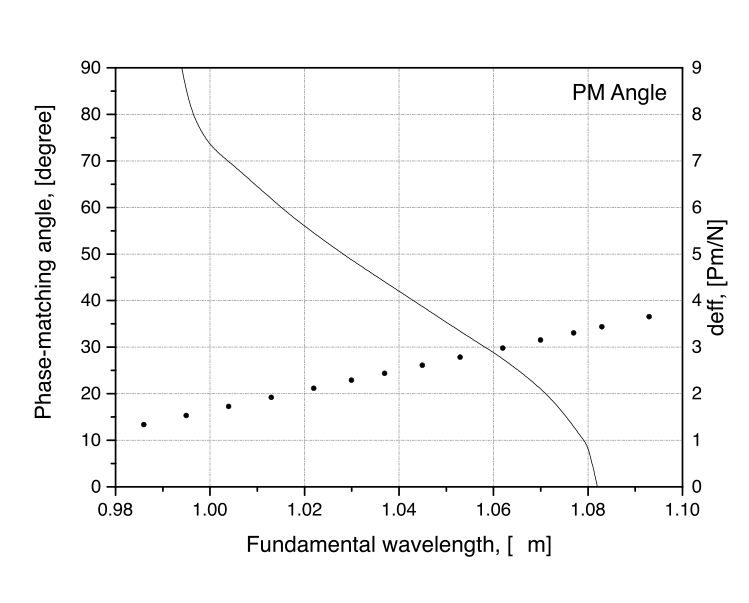 Rods cut along the “b” axis are suited for most of applications. Linear polarization, no thermal birefringence and easy generation of 1.3 µm wavelength are the main advantages of this material. 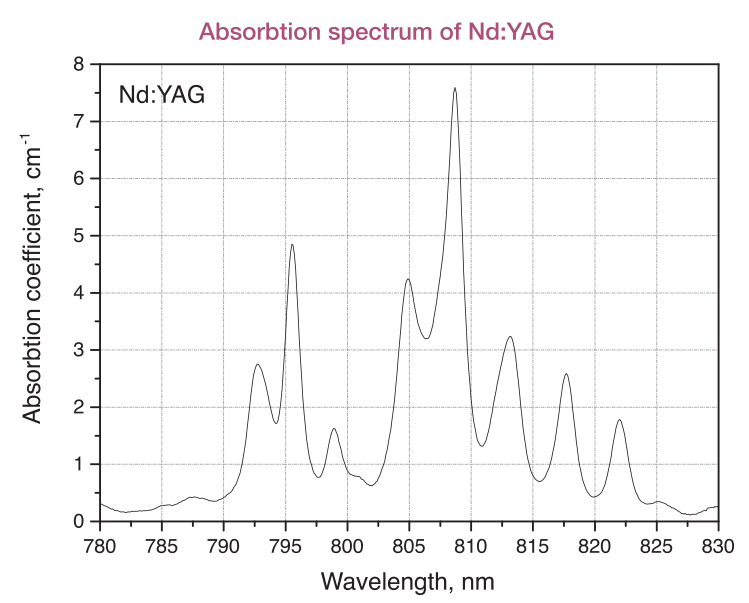 The 1340 nm emission wavelength of Nd:YAP has higher absorption in water and bodily fluids in comparison with the 1319 nm emission wavelength of Nd:YAG. 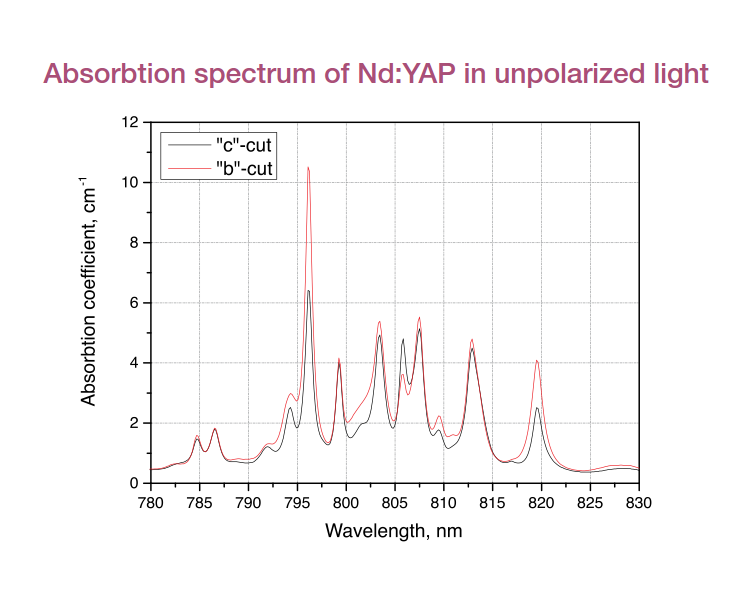 Taking into account the polarized output beam, Nd:YAP can be advantageously utilized in lasers with electro optic cells or harmonic generators. 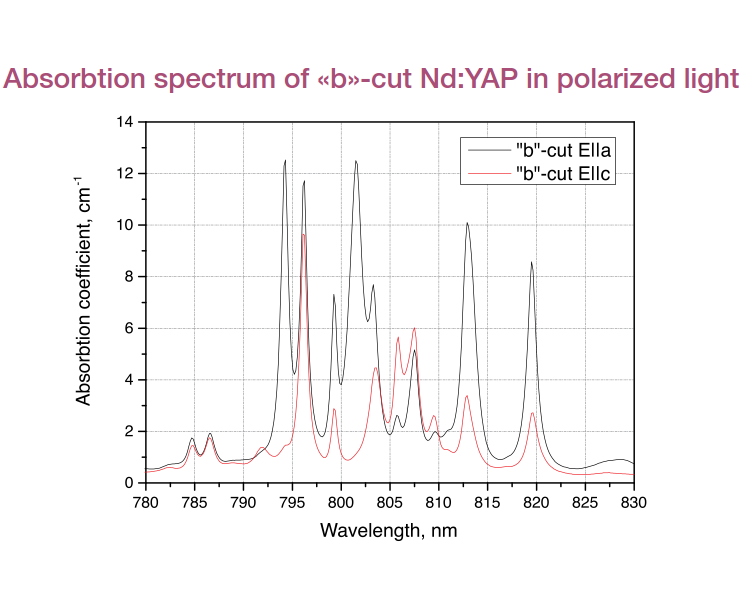 The wavelength of 1079 nm emitted by Nd:YAP can realize type II non-critical phase matching in an α-cut KTP crystal, where the effect of beam walk-off is eliminated and the conversion efficiency is increased compared to angular phase-matching. The main absorption line of the Nd:YAG crystal occurs at 808 nm. In case of Nd:YAP the peak of the absorption depends on crystallographic direction on Nd:YAP and polarization.